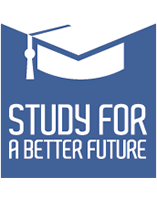 Study for a better future is an initiative of Qurazone AB to reach the young minds interesting in shaping the future for the better. We have our heart firmly placed in the healthcare sector and strive to help it evolve in any way we can. Even if we today have evolved to encompass much more than just the healthcare sector. From finding and matching international students with the best private universities to medical recruitment of doctors in Scandinavia, we never forget the most important thing, the people and the personal connection. It breaks our heart to see that there is a shortage of doctors in the world. At the same time, there are students from all around the world who are not getting into the highly sought after medical programs at the universities of their home countries. We strive to help mend both of these issues. By matching the best possible universities with the most qualified students out there, we are confident that we leave our mark on the world. We are proud to be a small part of all our students’ journeys, as we know first hand what challenges they face. For all those who are studying to become a; doctor, nurse, veterinary, dentist or any other healthcare related profession, we offer contact and valuable exchanges with our colleagues in these fields. We even want to go as far as to offer the students employment through our medical recruitment company once they’ve graduated. Finding the most qualified students who are now looking for their place in the world and matching them with the most respected and prestigious private universities in Europe. We make sure our students have all their papers and documents in order and offer support in any way we can. From visas to accommodation, we work to make the transition to studying abroad as easy as possible for all our students. Finally, we have a dedicated team to help market all the universities we represent as well as keep a regular contact to safeguard that all our marketing is up to date and representative of how the universities want to be profiled. 1. Pairing students from all around the world, with a focus on the Scandinavian countries with the best University for them. 2. Recruitment of students who fall just short of being accepted into medical programs in their home countries. 3. Guide and support students to the right education for them. 4. Validating and translating essential documents for our international students. 5. Marketing of our universities in the traditional media of Scandinavian countries. 6. Marketing of our universities through social and digital media to reach a broader target audience. The company was founded in 2008 by the now CEO Kian Shoaie-nia when he realized the benefits of the free movement and the possibilities in Finland for Swedish doctors and medical students. From there as the company grew it evolved into offering its services in Sweden as well as the rest of Scandinavia and later the European Union as a whole. When Natasha, Kians wife, later started her studies of dentistry in Spain, they saw what they can only describe being unnecessary complications that both students and universities were facing as they went international. To help tackle these complications the company evolved once again to incorporate medical, dentistry, pharmacy and nursing students to the company profile, a now natural step in our evolution. With the major success of these programs Study for a better future now hosts not only medical students but also students in other highly regarded programs, such as Engineering, Architecture, Communication & Gastronomy to name a handful. Anywhere you look in Europe there are students who are dreaming of being accepted into the education of their dreams. Some do on their own, but many still miss the opportunities that are available to them, by limiting themselves to just a handful of schools and universities in their home country. We strive to let these students find all the best options when it comes to making the most important decision of their life. There are students who are willing and able to study the fields in which the market today is in strong demand, but who fall just short of being accepted because of the limited number of students that a university can accept. These students, if given the opportunity would jump at it without hesitation. The environmental issues are today a common fact for everyone. To help combat these effects everyone is forced to do their part and we at Study for a better future are no exception. Every day we take a critical look at all our services and routines to make sure that we always do everything we can. For our efforts, we have received a Q-certification.